Rigid shell: shape maintained even in moistened and heavy loading environments. Soft nose seal with absorption properties and a tight sealing film for an better comfort and fit. Preformed and coloured nose bridge to save time to perfectly adjust the mask and to instantly identify its protection level. Large internal volume to easily communicate and breathe. Twin elastic straps, ultra flexible and strong, stapled outside of the filtering area to avoid any risk of leakage. Lightweight respirators (10g) to reduce wearers’ fatigue. No latex, no silicone, nor PVC. Rigid shell: shape maintained even in moistened and heavy loading environments. Soft nose seal with absorption properties and a tight sealing film for an better comfort and fit. Preformed and coloured nose bridge to save time to perfectly adjust the mask and to instantly identify its protection level. Large internal volume to easily communicate and breathe. Twin elastic straps, ultra flexible and strong, stapled outside of the filtering area to avoid any risk of leakage. 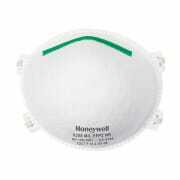 Lightweight respirators (10g) to reduce wearers’ fatigue. No latex, no silicone, nor PVC. Protection and wearer acceptance guaranteed during periods of extended use. Exceptional level of comfort. Prevents irritation. No risk of allergies to latex. No restriction with regard to use Environment-friendly. Protection and wearer acceptance guaranteed during periods of extended use. Exceptional level of comfort. Prevents irritation. No risk of allergies to latex. No restriction with regard to use Environment-friendly.